We all know that sugar-sweetened beverages generally aren't the best choice. But sometimes we try to justify them by countering all those empty carbohydrates with a high-protein meal. In theory, it doesn't sound like a terrible idea — at least you're not combining carbs with more carbs, right? Unfortunately, unless you're trying to get your body to store extra fat (and most of us aren't), combining sugary drinks with protein can backfire on you. A study recently published in the journal BMC Nutrition explains why. After you eat or drink anything, a process called fat oxidation begins to break down the fat molecules in your meal. 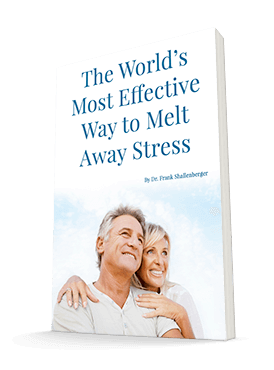 But researchers at the USDA Agricultural Research Service Grand Forks Human Nutrition Research Center recently discovered what I reported in my book Bursting With Energy more than 10 years ago. Eating or drinking any carbohydrate, especially sugar, decreases this fat oxidation process. To state it more simply, eating carbohydrates suppresses fat burning and can make susceptible people fat. The interesting thing is that the researchers also discovered that the more protein there was in the meal, the greater the fat suppressive effect was. Specifically, they found that it decreased fat oxidation by an average of 7.2 g for a 15% protein meal, but this number jumped to 12.6 g for a 30% protein meal. The researchers determined this by having 27 young, healthy adults participate in two 24-hour evaluations. At one evaluation, they received two 15% protein meals after fasting overnight. At the second, they received two 30% protein meals. The meals contained the same amount of fat and number of calories. The participants drank a sugary beverage with one meal, but not the other. And the researchers used a chamber called a room calorimeter to evaluate the meals' effects on the participants' energy expenditure and nutrient processing. The researchers noted that the sugary beverage did not increase the participants' satiety, but did make them store more fat. 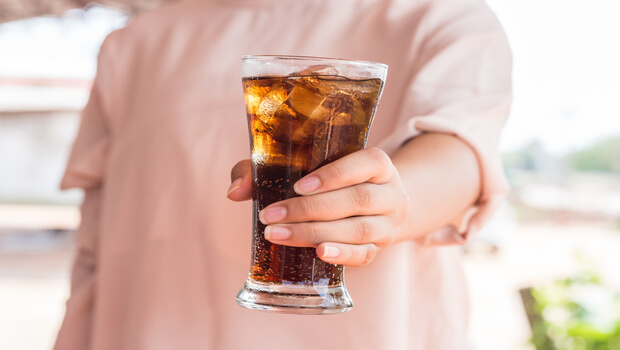 As sugar-sweetened beverages constitute the largest single source of sugar in a typical American's diet, the researchers believe these findings may help us understand how these drinks are contributing to obesity across the country. And by the way, although sugar is the most fat-suppressive carbohydrate, don't forget that all carbohydrates have the same effect. They all suppress fat metabolism. So, if you have a problem with weight control and you eat carbohydrates, try something simple. Stop all the carbohydrates for several weeks and see what happens. If you drop weight, there's your answer. You're a carbohydrate-sensitive person, and you need to limit them in order to maximize your health. All of this is explained in my book. So, if you have not read it, now is the time.